The space in which one works, and the level of cohesion, efficiency and thoughtful design in its planning, is integral to the smooth day-to-day running of a commercial enterprise. The flow and subtle beauty (or lack thereof) in a shop or workspace may have a marked effect upon staff engagement and customer enthusiasm. Simply put, an attractive and easy-to-shop space helps sell products and services. 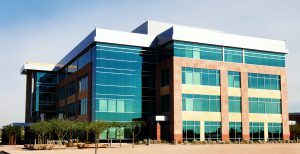 When deciding how much to invest in a commercial remodeling project, it is helpful to ask two important questions: why is this remodel happening and how will the redesign pay for itself over time? A remodel might be catalyzed by forces from within the company. If the goal of the redesign is to reinvigorate employees, increase productivity, maintain a safe working environment or beautify staff-only spaces, one should consider the amount of possible return when deciding how much to invest. For example, a fresh coat of paint or updated lighting might do wonders for a breakroom, raising energy levels and productivity without necessitating a long or money-intensive undertaking. More ambitious commercial remodeling of staff areas, such as installing a kitchenette or adding a wall of windows, might not pay for itself over time. On the other hand, some remodeling jobs, such as modernizing one’s storefront or installing flattering lighting in a customer space, are catalyzed by forces outside the company (generally, these are customers). If the goal of one’s revamp is to increase sells, ramp up excitement for a new product line or appeal to a new market, large-scale redesigns, as long as they are well-planned, have the potential to give a large return on investment. If successful, even very large remodeling jobs can eventually pay for itself. Commercial remodeling can seem like a daunting task. Hiring a contractor who has solid credentials with the Better Business Bureau and a verifiable record of safe construction is a good start, but understanding why the remodel is happening and how much money can prudently be spent upon it is just as important. A small amount of planning and analysis can make a large difference in the results of a remodeling project.